Rodney is a native of Fairmont West Virginia and graduate of Fairmont State University where he earned a Bachelorâ€™s degree in Education. Rodney currently resides in Fairmont with his family. Rodney has been employed with Academy Programs since 2009. He began his career as a Teacher Counselor Assistant. He later became a Teacher Counselor, Team Leader, and Senior Team Leader. 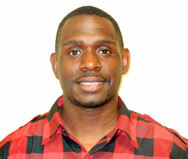 Rodney was also Teacher Counselor of the Year in 2012.